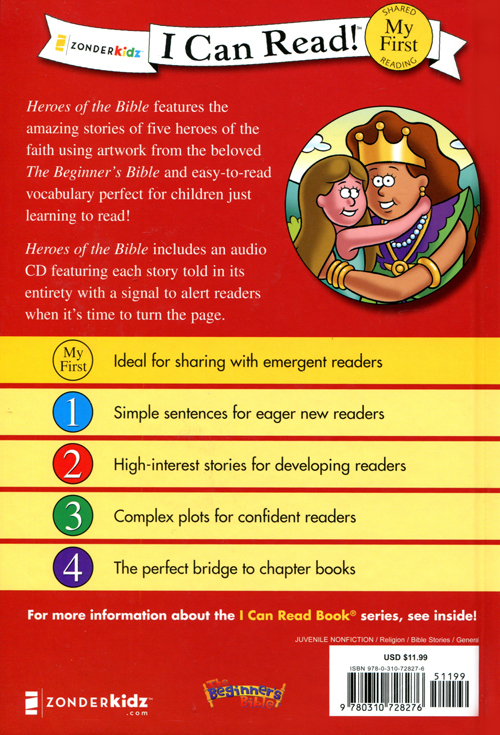 This is a collection of five bestselling I Can Read stories from The Beginner's Bible with a guided audio CD that introduces children to reading. The vocabulary is simple, the CD is helpful, the stories are exciting and true. A splendiferous way to kick off one's foray into the world of reading. 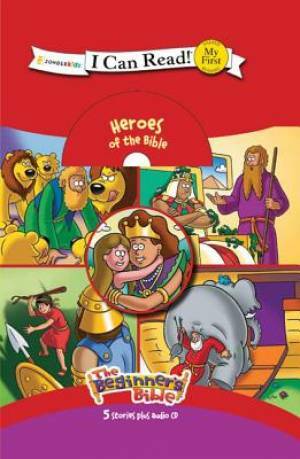 Heroes of the Bible by Kelly Pulley was published by Zondervan in December 2011 and is our 30824th best seller. The ISBN for Heroes of the Bible is 9780310728276. Be the first to review Heroes of the Bible! Got a question? No problem! Just click here to ask us about Heroes of the Bible.